THURSDAY, 17 MARCH – Centre for Occupational Safety and Health (PKKP) Universiti Malaysia Sabah (UMS) is conducting talks on occupational safety and health (OSH) awareness in schools around Kota Kinabalu. According to a statement issued by PKKP, the talks are important for schools as teachers and students spend at least six hours in schools, thus the need to know better on matters pertaining to their safety and health within their surroundings. 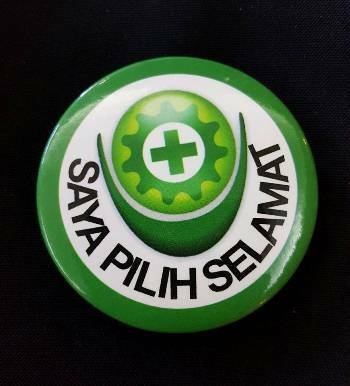 The statement also added that OSH programmes in schools are not new as the government had introduced some programmes based on safety and health in the School Health Programme (RKS) since 1967 and Safe School Project in 2002. The concept of OSH in schools is more holistic and supported by OSHA legislative needs, 1994.